One would think that the classification of internet providers as telecoms or not, and which federal agency has authority over them, is about as in the weeds as it gets. But it is a symptom of the times in which we live that no issue, however technical, provincial or jurisdictional, can escape being swept up in the eternal hurricane of partisan politics. The FCC’s masterstroke in 2015, the lead-up to which formed the first article in this series, made a lot of people very angry. It angered the broadband industry, as you might expect, for several reasons. For one thing, decades of legal maneuvering to keep regulations light (or failing that, to switch regulators) were being nullified. This was a worst-case scenario: not only were they being classified as telecoms, with all the headaches that brought, but the agency writing the rules was not naive or sympathetic and, in fact, was rather tired of being pushed around. The actual rules being proposed also preemptively banned a number of practices and business models — paid prioritization, zero rating, etc. — that might otherwise have proven profitable. And it angered conservative lawmakers throughout the U.S., for reasons both justified and dubious. They were bothered by what they perceived as, and justifiably so, an expansion of regulatory reach — in other words, bigger government encroaching on a market that was thriving without its interference. Somewhat less justified but still understandable, the GOP was frustrated that they had been outfoxed by the Obama administration, the hand of which was recognizable throughout this whole initiative. Lastly, and most dubiously, Republican members of Congress, more so than Democrats, count on the generous donations of the telecoms and cable industries to fund their reelection campaigns, and, well, promises were probably made. These are powerful enemies, and what’s more, ones that have every incentive to work together against their common foe. But before we see how they responded, let’s have a quick recap of what the Open Internet Order actually does, and the authority under which the FCC did it. In part one, we saw how as early as 1966 the FCC and FTC were drawing a hazy line between two types of services: telecommunications services, which are responsible for merely moving information to and from locations chosen by users, and information services, which involve creating, storing and performing other non-transportation tasks on that information. The FCC has authority over the former, and over the latter we have the FTC. Telecommunications services fall under Title II of the act and are also called “common carriers.” This term was used for much of the country’s history to indicate someone offering a service to move goods from point to point, but lately (that is, starting in the mid-20th century) also applied to things like telephone operators — which makes sense if you think about it. Common carriers are subject to special regulations that harmonize interstate commerce, prevent discrimination and anticompetitive practices, that sort of thing. The FCC is given the power to regulate Title II services, and the FTC is actually specifically prohibited from doing so. Information services, much more loosely defined, fall under Title I of the act. The FTC is charged with making sure these services meet minimums of safety, privacy, reporting and other business standards. Sometimes a Title I service will get poked by the FCC, if, say, it were a device maker (obviously not telecoms) that wasn’t meeting radiation emissions standards, but generally speaking, Title I is FTC territory and the FCC’s powers under it are limited. So if AT&T was failing to meet national standards in rolling out telephone service, the FCC would come calling. On the other hand, if the company were misrepresenting that service to its customers, it’s the FTC’s job. For a long time, the FCC tried to make net neutrality and other open internet rules happen with that limited authority it exerted over them under Title I. And it took these approaches, which were rejected again and again, in order to avoid having to rock the boat and reclassify broadband providers as Title II telecommunications services. But in 2015 it saw no other option, and did just that. No blocking of any lawful content, applications, services or devices. No throttling, impairment or degradation of lawful, non-harmful content, applications, etc. Public disclosure of commercial terms, fees, data caps, performance, network management practices, etc. Most of the rest of the order is justifying Title II authority, “forbearing” from using many parts of that part of the law (i.e. it technically could do direct rate regulation, but promises not to), and defining the terms in the above rules — what exactly is meant by “content” or “harmful,” for instance. So, back to the story. What’s the first thing you do in America when things don’t go your way? That’s right, you sue. Which is exactly what happened. And while we don’t need to get into the details here, suits from telecoms and trade associations aiming to prevent the rules from taking effect fell flat and everything, amazingly, went more or less as the FCC planned. Petitioners and their amici offer various grounds for distinguishing broadband service from other kinds of common carriage, none of which we find persuasive. This decision, which strongly supported the FCC’s authority and decision to use Title II, was a powerful deterrent; litigants were forced to acknowledge that more decisions like this would only further cement the Open Internet Order’s legitimacy and pile up hostile precedents. However, a substantial dissent by one judge pointed out that many of the FCC’s justifications for its rules, such as that banning paid prioritization would encourage that “virtuous cycle” the agency is so fond of mentioning, had no factual justification. This is important because no matter how much sense something makes to us as consumers — no fast lanes, no content throttling — that doesn’t mean it holds water in court. 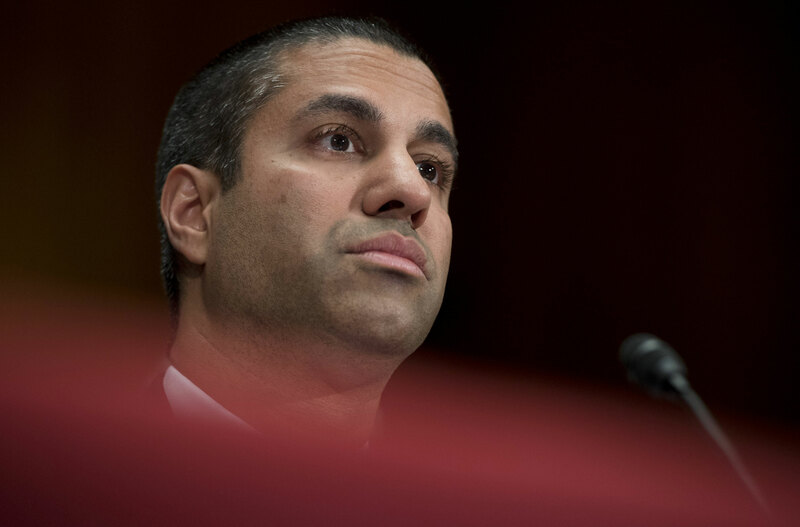 The judge went through the FCC’s arguments and issued the opinion that the Order’s rules were, in fact, “arbitrary and capricious.” It may not sound like it, but this is about the strongest argument against the net neutrality rules that has been advanced. Certainly stronger than some that came later — on the same suit, in fact. It turns out the safest move on the part of the petitioner (the United States Telecom Association) was to request the case be revisited because not all the judges weighed in the first time around. If they got a new hearing, it was like a free do-over; if they didn’t, the worst the court would do is reject them again. Unfortunately for them, not only was the request denied, but some particularly absurd dissents from Judges Brown and Kavanaugh allowed the court to give the ruling a fresh coat of paint and further discredit the arguments against Title II. Kavanaugh argued that net neutrality infringed on the free speech rights… of internet providers. He attempted to equate cable TV operators with ISPs, saying both “decide what content they will transmit.” This risible misconstrual of the facts went poorly for him, as you might expect, and the other judges explained at length the difference between providing a television channel and providing internet access. It offered them an opportunity to explain also why ISPs are compelled in many ways to act as non-discriminatory transmitters of information, not arbiters of that information — in other words, common carriers. Of course, internet providers aren’t actually the ones that do those things; the companies she listed, known as edge providers, do, and are rightly classed under Title I as information services. ISPs don’t generate, store or transform information but simply transmit it, and rarely claim otherwise. Legislation fared no better. Under the threat of an Obama veto there was only so much the Republican-held Congress could do. One bill attempted to retroactively remove the FCC’s ability to reclassify broadband; it never had legs. Another gained some momentum by attempting to ban broadband rate regulation by the FCC, which would have been fine, had it not also sneakily defined rate regulation so broadly that it would have seriously undermined the agency’s authority. Congress settled for a punitive slashing of the FCC’s budget, which didn’t do much to change the new rules. Opposition to the FCC was galvanized and unified, but it was clear that the agency had fortified its position well and attacks from the outside were ineffective. What its opponents needed was someone on the inside. Fortunately there was a good chance of that happening in just a few short months. The election itself thankfully doesn’t concern us much, since tech and internet regulation were hardly addressed at all in debates and speeches, but the results — naturally — would have major consequences. Under a Democratic president, the FCC would continue much as it had done for years, with a Democratic majority hard at work refining and bolstering net neutrality. Under a Republican one, leadership would switch and the new FCC would unite the interests of the desperate broadband industry, the slighted FTC and the vengeful conservative Legislative branch. The latter, of course, is what came to pass. All the parties concerned needed now was someone sympathetic on the Commission itself. Actually, it’s misleading to say he “enters” now, since he’d been on the Commission for years. But this is certainly the moment he stepped into the spotlight. For the purposes of his backers, his qualities are clear. He’s young, ambitious, savvy and, best of all, he had dissented vehemently and at length when the Open Internet Order was passed. Pai also had (and has) the admirable habit of infusing his objections with partisan bitterness: his dissenting statements and op-eds over the years embody the kind of values-based politics that propelled groups like the Tea Party to prominence. Perhaps Pai smelled blood in the water and the potential of being elevated to Chairman if he made himself visible, or perhaps he was just infected with the usual red versus blue mentality to which we all succumb during election seasons. At any rate, he made it abundantly clear which side he was on, and the bet paid off. He was appointed Chairman in January. The FCC, aided by the FTC and Congress, now began in earnest its campaign to undo the work of the previous administration. This is the second article in a series on the history of the FCC and net neutrality. Keep an eye out for the third, a timeline of the FCC’s actions since the election.